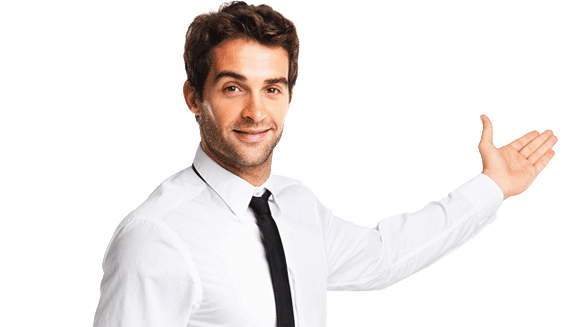 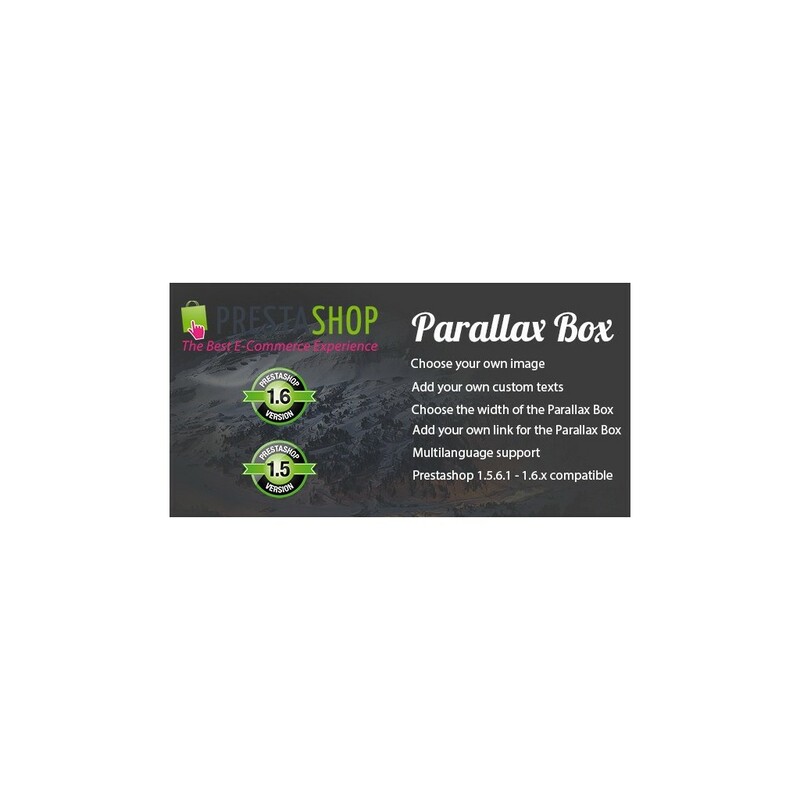 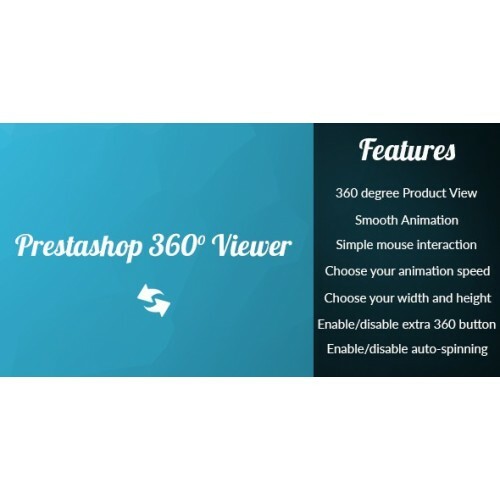 This is the first prestashop 360 spin module that offers this functionality at a very low pricing. 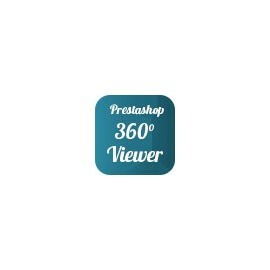 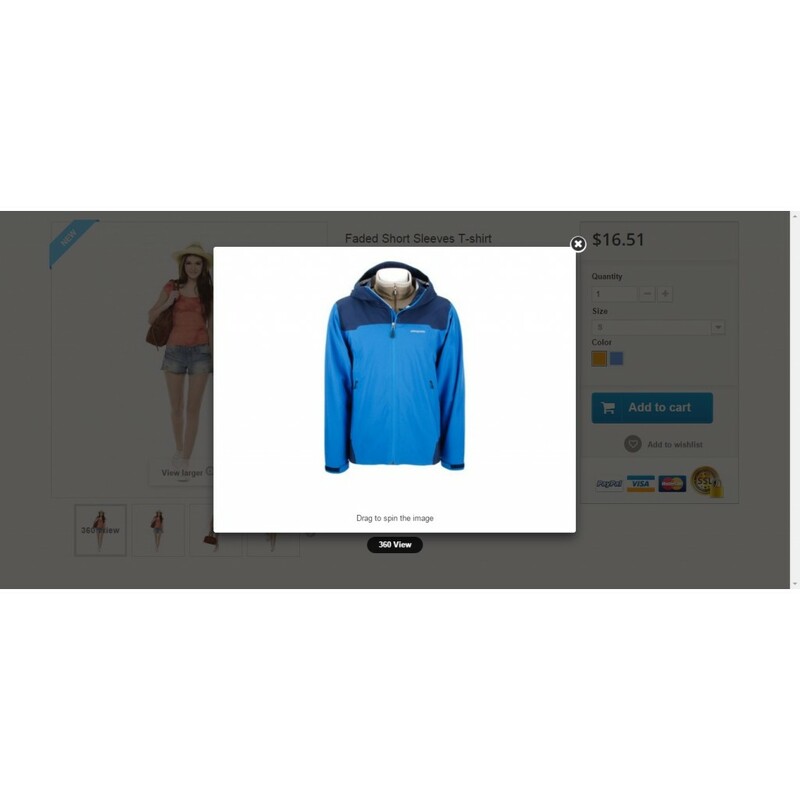 The prestashop 360 view improves your regular website by adding a 360 animation of your collection of photos. 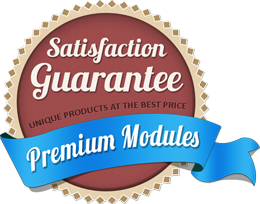 The module is very easy to use, simply install it and upload your 360 product images, it will automatically generate the 360 spin. 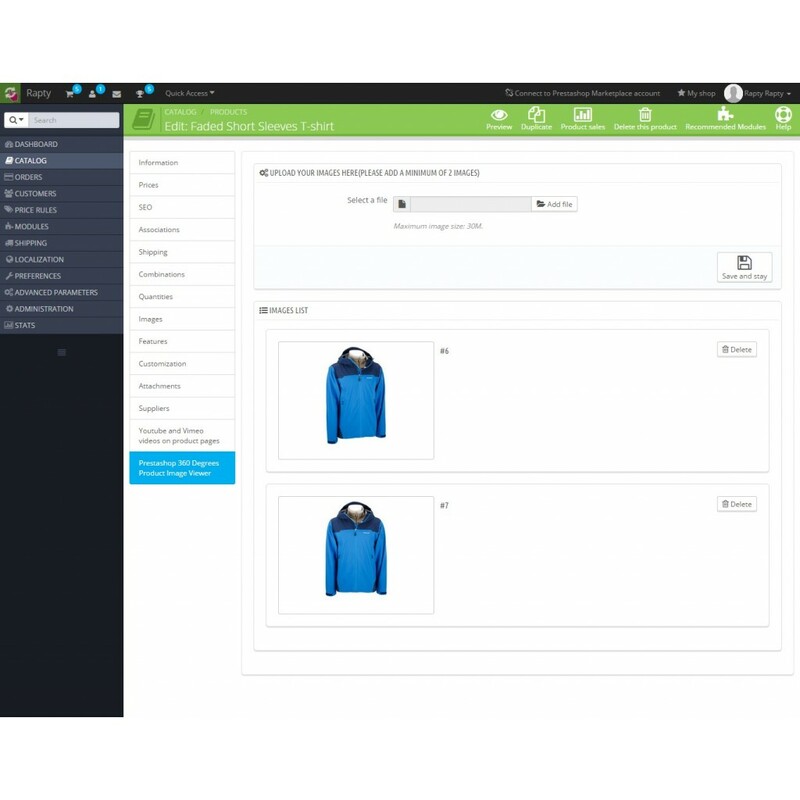 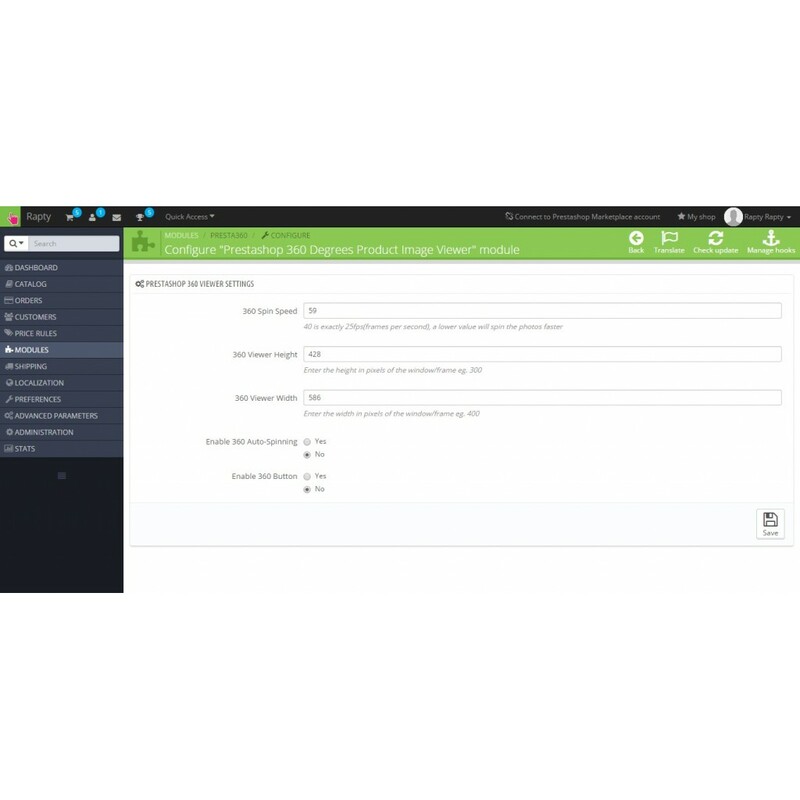 The module offers the sorting functionality for your images, you can also choose your frames per second for the animation and a lot more features.